Anthony Gerolomo surveyed a muddy field packed with giant metal frames. He works with CTEC Solar and said those frames will soon be fitted with about 6,000 solar panels. But first, they all need to get hooked up. “If you look at all the different arrays. That’s a lot of wire. We’ve already burnt through 125,000 feet in four days,” Gerolomo said. 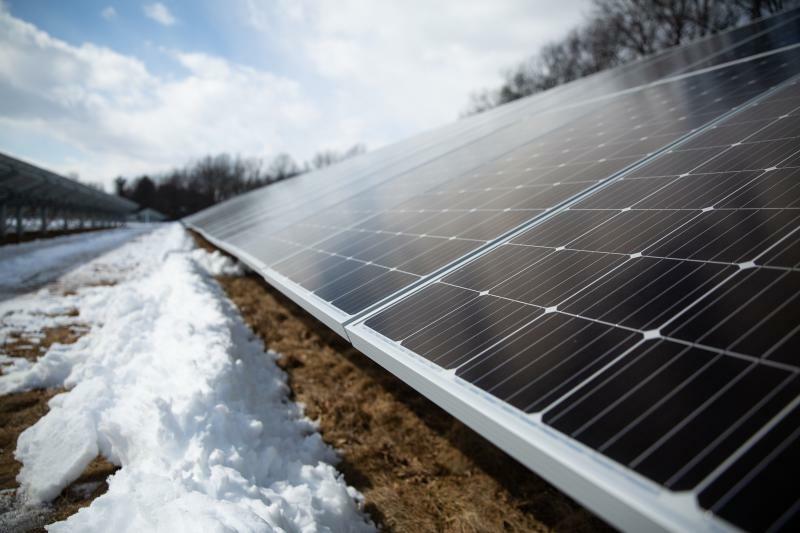 Gerolomo is helping to build this solar array in Bloomfield. Right now, it’s on track to be the state’s first shared solar project. Jeff Pipeling with CTEC Solar said these types of projects make green energy more accessible. “Typically you have to own a home. You have to have good credit. You have to have a good facing roof in order to get solar put on your house,” Pipeling said.